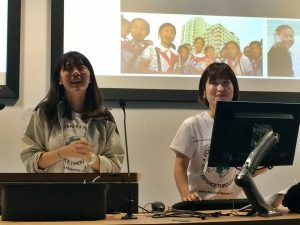 Two activists from the Korean Sharing Movement (KSM) participated in the international training camp at the University of Brighton in England. 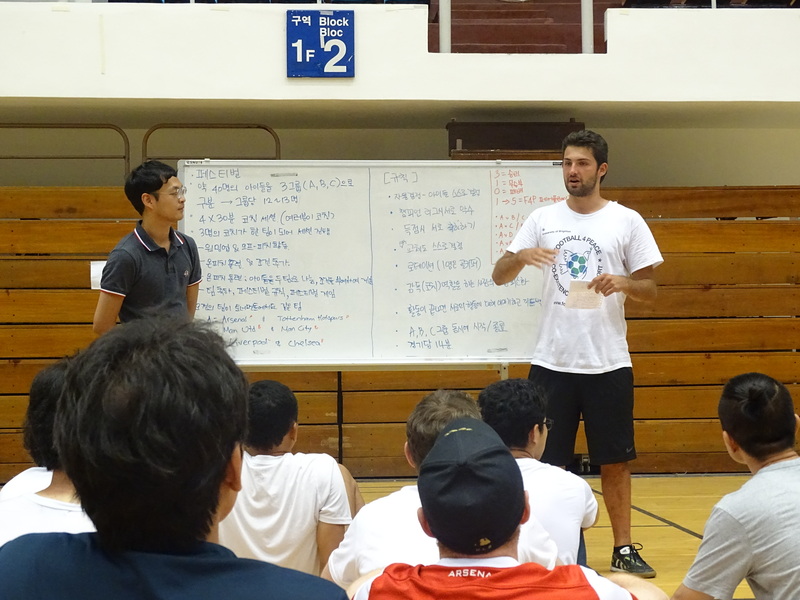 This is the account of the experiences of Doo Ri Yang and Keun Young Jang. 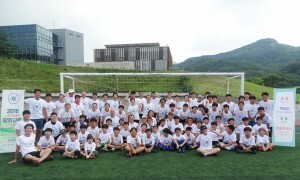 The original, Korean version can be found on the KSM website click here. “You might be thinking, ‘Why the UK? Just to play football?’. To introduce you briefly – F4P is a program initiated in 2001 to allow Jewish and Arab children in Israel to better understand each other and resolve conflicts through football. Our group, KSM, drew inspiration from this and have also been running a program called ‘Children’s Football and Peace Class’. Through this, children are able to learn about trust, respect, responsibility, justice and engagement, which, in turn, allows us to seek for peace between South and North Korea. 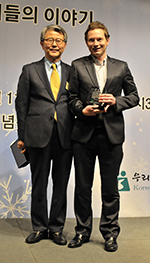 Dan Gudgeon, the Head Coach at Football for Peace (F4P) and Project Manager with the Sport Operation Team at the PyeongChang Organising Committee Olympic and Paralympic Winter Games, received an appreciation plaque at a recent fundraising event hosted by the Korean Sharing Movement (KSM) in Seoul.